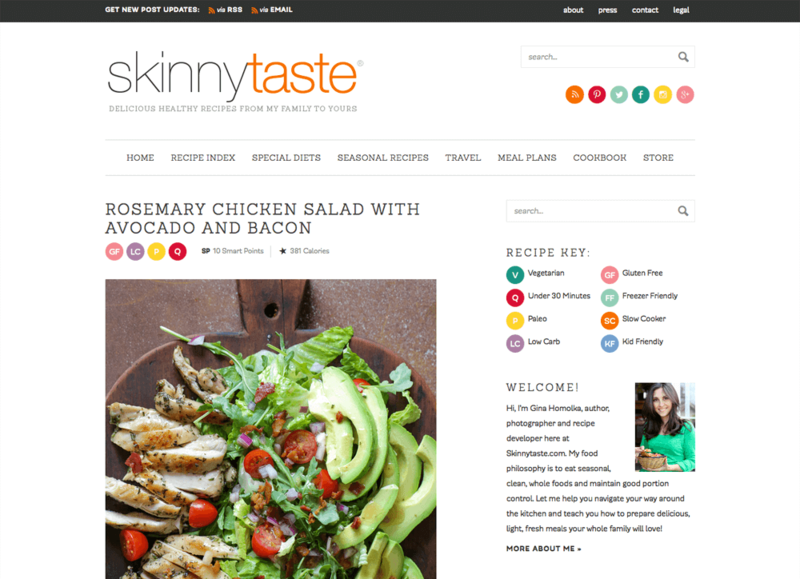 Custom food blog design using existing logo and branding. Import and transfer from existing blogger blog allows for much more flexibility and customization. 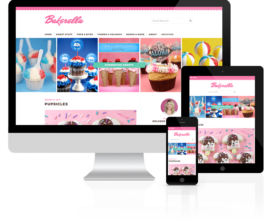 Teaser-style homepage with large, vertical images and custom diet icons to allow for easy visual navigation of recipes by dietary needs. Enhanced recipe nutrition information with calories and smart point also appearing below post title. 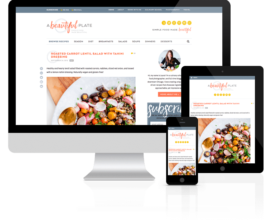 Special Features: Custom taxonomy for special diets with icon display, recipe index with icons multiple recipe sections, enhanced nutrition information display on recipes, custom recipe information displayed below post title.